First comes love, then comes and somewhere in between, comes a stylish bridal shower full of friends and family! 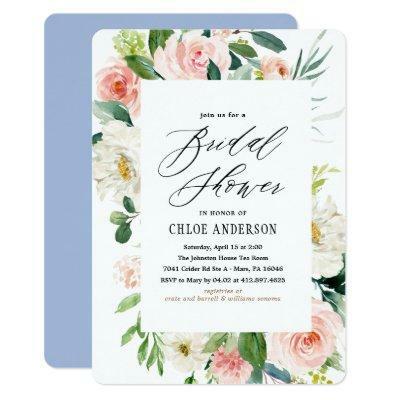 Before the party begins, get your party planning under way with our collection of bridal shower invites. We have a wide variety of colors, styles and options to suit every personality, and style. Create a personalized Simple Calligraphy Bridal Shower Invitation for a memorable celebration she won’t forget!